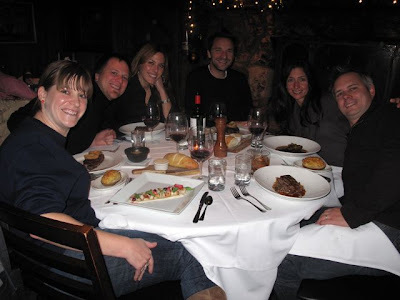 We're up in Wisconsin again, and this time, got to meet up at Jake's Restaurant with Scott & Ali, and Andrew & Shelly. Food was great, and the company even better. Looks like a lovely evening! I can't believe I haven't seen you and Brian or Andrew and Shelly since Ali and Scott's wedding! Too long!